The mission is simple: to bring the best, most effective tools in wellness to your organisation and leave your staff with something tangible to take away. We provide a range of different Wellness Workshops, all individually tailored to suit your organisation. We pride ourselves on designing practical workshops which will provide real value for your employees. We keep things simple by choosing to work with what we know delivers the greatest results. Whether you would like to show your staff how to make the perfect green smoothie, provide them with useful tools for stress management, or look at simple ways for boosting wellness at work, we've got you covered. Some of our most popular workshops are listed below, if you would like to discuss your own individual needs please get in touch. A workshop designed to guide participants into a mindful and relaxed state, leaving them feeling calmer, more in control, focused and content. The workshop is designed to be a treat for participants, a time-out in a busy day and will provide them with the tools they need to build their own mindfulness practice should they wish to do so. The only requirement for this is space and seating for participants. 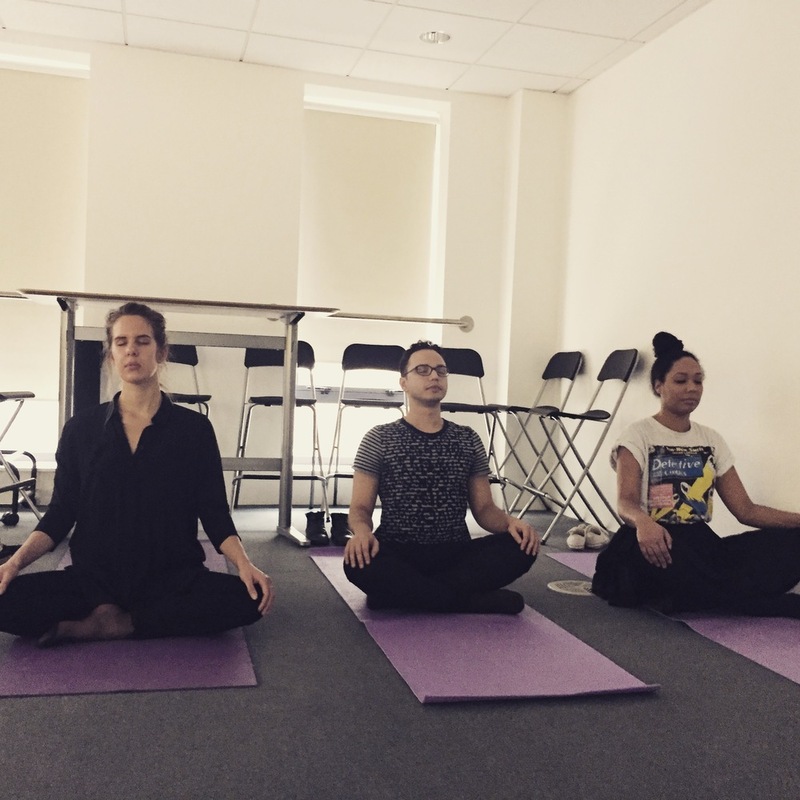 An introduction to Meditation and to Mindfulness. What are they all about? Why do they work? How can you incorporate them into your life so that you may experience the benefits for yourself? The ultimate treat for staff. Yoga Nidra (or sleep yoga) is intended to produce full body relaxation and to truly de-stress. Participants are wrapped in blankets, talked through a guided relaxation and leave feeling blissful & rejuvenated. Like pressing reset, a chance to restore and renew - both the body and the mind will reap the benefits. It brings an incredible calmness and clarity to those to try it and is suitable for all, no experience is necessary to attend. A fun and interactive wellbeing workshop. Learn to manage your food intake and energy levels through the day. We demonstrate how to make some simple, quick and healthy snacks. 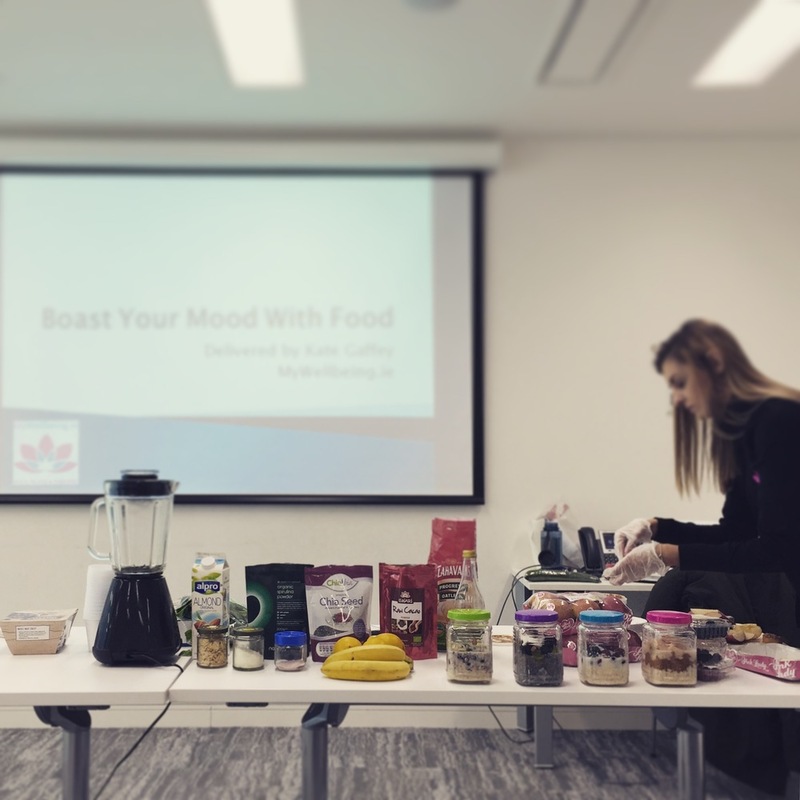 The workshop gives participants the chance to make the snacks and food, it aims to take the mystery out of healthy food and is designed to be practical and down to earth. A workshop designed to assist people become more clear, focused calm & in control. We provide people with the tools that they need in order to deal with the daily stress of their working environment. We look at how we can use boundaries on a daily basis in order to boost productivity & gain more control. We also look at transitions & how we can use them as a simple tool - when & how to switch gears. Participants should leave the workshop with practical tips & tools that can be implemented straight away. This workshop guides participants through an intention setting process, working with different areas of work & life, in order to access clarity, inner guidance & focus. Participants are guided to identify what is important to them, will receive clarity on areas where they would like to focus and clear steps on how they might get there. Get clear on goals & intentions, choose priorities & begin to understand the steps required in order to get to where we desire. This workshop is designed to look at the common aches and pains that occur when we have to spend time sitting at a desk. We address the shoulder, neck, lower back and hip issues that tend to come up and look at how we can address & avoid them. It blends postural work, ergonomics & stretching techniques to keep pain at bay. A workshop designed to address mobility & the most frequent issues that occur from those who have to sit at a desk through their workday. We will address common aches and pains (shoulders, neck, lower back & hips) and include stretches and mobility drills that can be used to help keep people ache & pain free. Come together in one of the most ancient & traditional ways -a circle of women, built to support, enable & empower. These circles are an excellent way of encouraging the women in your organisation to empower themselves and each other. We create the space for each woman to identify her own unique strengths and step into her power. A perfect addition for organisations who want to support the growth of development of women. A workshop open to all women. We look at the cyclic nature of women - how we change through the month & indeed our lives. Once we understand the framework for these changes & cycles we are provided with a key to understanding ourselves, our bodies & how we move through the world. This allows us to structure our lives, our workload and our obligations in a way that is healthy, productive, enjoyable & effective. 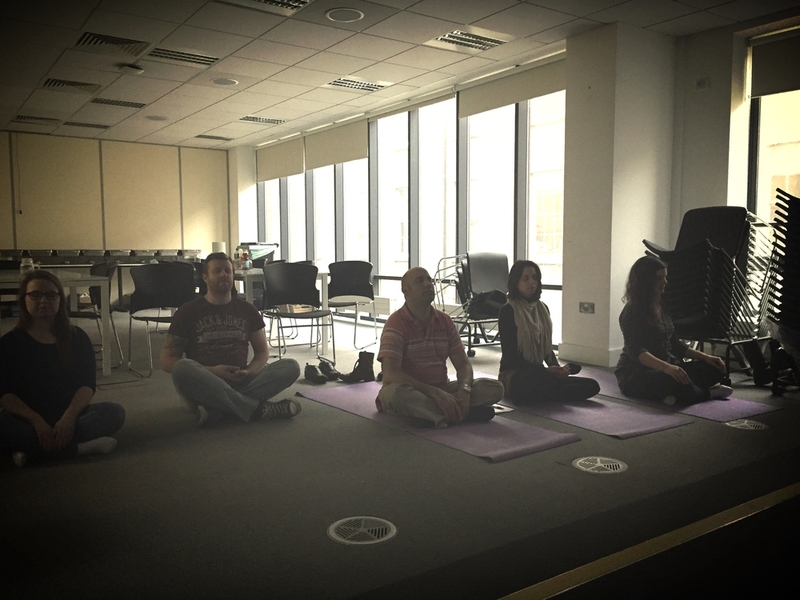 A selection of photo’s from the 2015 IBEC National Workplace Wellbeing Day delivered by Workplace Wellness Ireland.